Since the final episode of Life is Strange released, one important question has divided fans across the world – ‘Bay or Bae?’ Now, a comic series due for release this year appears to have attempted to provide a definitive answer to the debate. 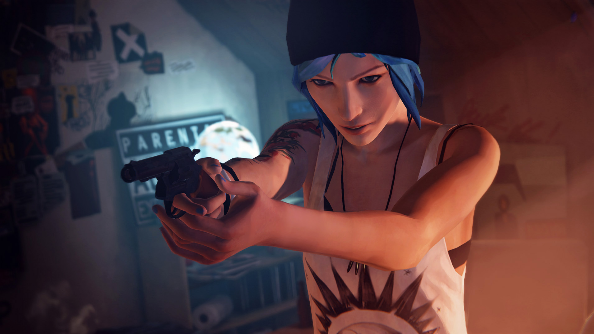 Beware – there are spoilers for Life is Strange ahead. Check out our Life is Strange: Before the Storm review. Episode five of Life is Strange ends with a choice – you can allow the approaching storm to level Arcadia Bay, or you can rewind all the way back to the beginning of the story, allowing your childhood friend Chloe to die in order to save your home town. The correct choice, of course, is the latter, but apparently some people don’t realise that they’re wrong. That’s a pretty definitive suggestion that Max and Chloe both survived the events of Life is Strange, at least in the story as depicted by author Emma Vieceli. Obviously, if we’re following on and Chloe is still around, the implication is that Bae took precedence over Bay. Needless to say, I reject this decision outright, at least until I get confirmation that this is official canon – or until the Life is Strange TV show decides I’m right.